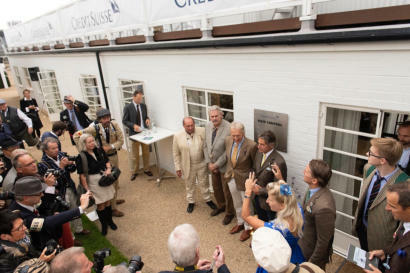 A full house of VIPs, motor-racing personalities and members of the press flocked to Goodwood’s Race Control building for the Credit Suisse Historic Racing Forum. Before the on-track action got under way at the 2018 Revival Meeting, a distinguished panel met on the morning of Saturday 8 September to discuss ‘The Challenge of Le Mans’. Derek Bell, five times a winner of the famous 24 Hours, was joined by Alain de Cadenet, Gordon Murray and 1989 victor Jochen Mass. The four legends boast a wealth of Le Mans experience, and kept the audience enthralled with their entertaining memories of the race.Respected broadcaster Bruce Jones hosted the lively event, and topics covered included the different approaches taken by different teams – with Bell recalling that in his debut for Ferrari in 1970 he was told simply to “get in and drive”. His later races for Porsche were much more disciplined, and Bell described the German team as being the greatest he ever drove for. Mass discussed the unique eight-mile circuit itself, speaking of its many challenges and its dangerous nature. The German ace also remembered partnering a young Michael Schumacher at Mercedes, and instilling in the future seven-times Formula One World Champion important lessons about how to approach the 24 Hours. De Cadenet brilliantly described how Murray did “a year’s work in a few weeks” in order to create him a sports-prototype for the 1972 Le Mans 24 Hours. The design genius did it alongside his day job, remembering how he used to finish at Brabham at 9pm, then work on de Cadenet’s car until 3am. They were rewarded with the first Le Mans finish for a car powered by the Cosworth DFV engine, and de Cadenet’s privateer team went on to achieve a number of giant-killing results. Murray also shared his memories of adapting his McLaren F1 road car into the GTR racer, which sensationally won at Le Mans on its debut in 1995. Throughout the F1’s development, he’d been adamant that it was not going to go racing – but eventually he relented, and the GTR wrote itself into the history books. Fellow Le Mans icons Jackie Oliver and John Fitzpatrick were in the audience, while Richard Attwood – winner of the 1970 24 Hours – joined the panel towards the end and raised the biggest laugh of the morning by wryly remembering that Le Mans “wasn’t that difficult, really”. The Revival’s 2018 race programme had opened on the Friday evening with an unforgettable edition of the Kinrara Trophy, and Credit Suisse once again invited guests to enjoy the racing from its Race Control roof terrace. 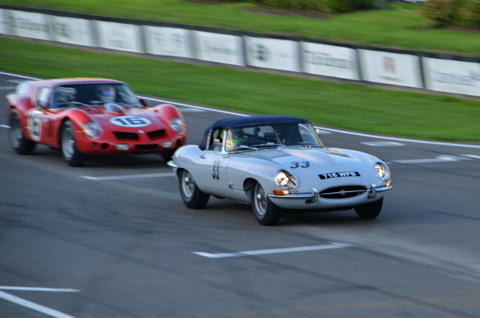 With a glorious sunset forming an evocative backdrop, they enjoyed the best seats in the house as the Ferrari 250GT ‘Breadvan’ of Niklas Halusa and Emanuele Pirro pipped the Jaguar E-type of Jon Minshaw and Phil Keen after one of the Revival’s most entertaining duels. Classic Car Program Introduced in 2004, the Credit Suisse Classic Car Program has become immensely popular. Over the past decade, Credit Suisse has built a network of friends and enthusiasts who share a passion for classic cars. 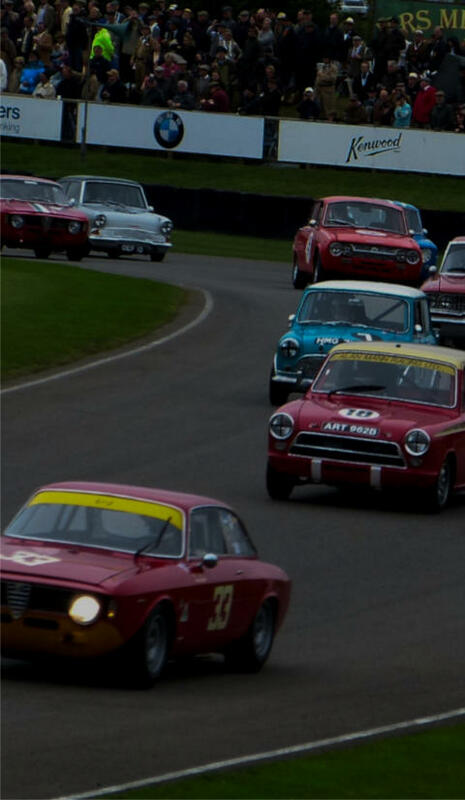 Its partnership with outstanding classic events, including its own rallies and collection of historic vehicles, underline Credit Suisse’s commitment to the classic car scene.Friends of the program include Derek Bell MBE, Jochen Mass, and Alain de Cadenet. Credit Suisse supports leading historic motoring events, including Grand Prix de Monaco Historique and Goodwood Revival. Credit Suisse at Goodwood Revival Credit Suisse has been a proud partner of Goodwood Revival since 2009 and has extended its commitment to the event until 2019. 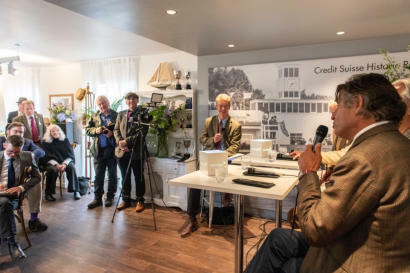 It provides an informal Historic Racing Forum, held at the historic Race Control building (bearing its name) at the circuit, amongst many other bespoke Media Moments relating to the historic motor racing festival over the weekend. The Forum continues to attract the attention of the world’s most accomplished historic racing drivers and international media. 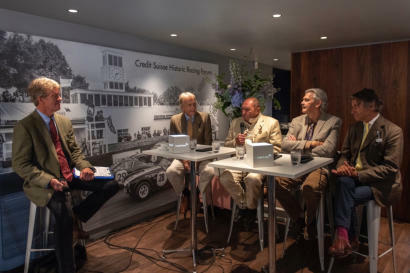 Chaired by motorsport writer and commentator, Bruce Jones, the Credit Suisse Historic Racing Forum provides valuable insights from both past and current historic racing drivers from across the world.